The Syrian conflict has denied many children and young people the right to education. Lack of safety and security constitutes the greatest barrier to accessing education, putting children at higher risk of being exposed to exploitation, abuse and rights violations. The seven years crisis continues to impact food security especially in UN-declared besieged and hard-to-reach areas where people witness high market prices of basic food items and fuel, limited access to humanitarian assistance and clean water. The Early Recovery and Livelihoods (ERL) sector estimates that 13 million people in Syria need humanitarian assistance, of whom 9.8 million are in acute need. The conflict has caused loss of jobs and livelihoods which contributed to increased economic hardships, stretching the capacity and resilience of people to cope with shocks and stresses brought about by the crisis. Many homes were destroyed due to the conflict, leaving around 5.3 million people displaced in shelters lacking daily life essentials and goods. 3,7 million people were unable to carry out necessary rehabilitation to their damaged homes. Many families fled to collective shelters, schools, unfinished buildings, hospitals, and mosques. Host families have been the primary providers of shelter assistance and support, with an estimated 400,000 households hosting others. People also reported their needs for non-food items like clothing, shoes, fuel, light sources, water containers and kitchen related items. 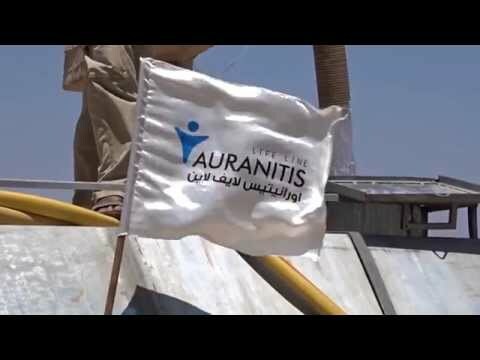 One of these three humanitarian stories about restoring hope for displaced Syrian families was implemented by Auranitis. With generous support from its donors, the OCHA-managed Jordan Humanitarian Fund enables partners working in Jordan and in Syria to deliver life-saving assistance to some of the most vulnerable families. In everyday, there are success stories of Auranitis' beneficiaries or served communities, which shows the actual accomplishment of our programs. Auranitis is the Roman name of the geographical area which lies between Southern Damascus in the North, and Ajloun in Jordan in the South; so called (Horan), which was considered as the Roman Empire food basket.